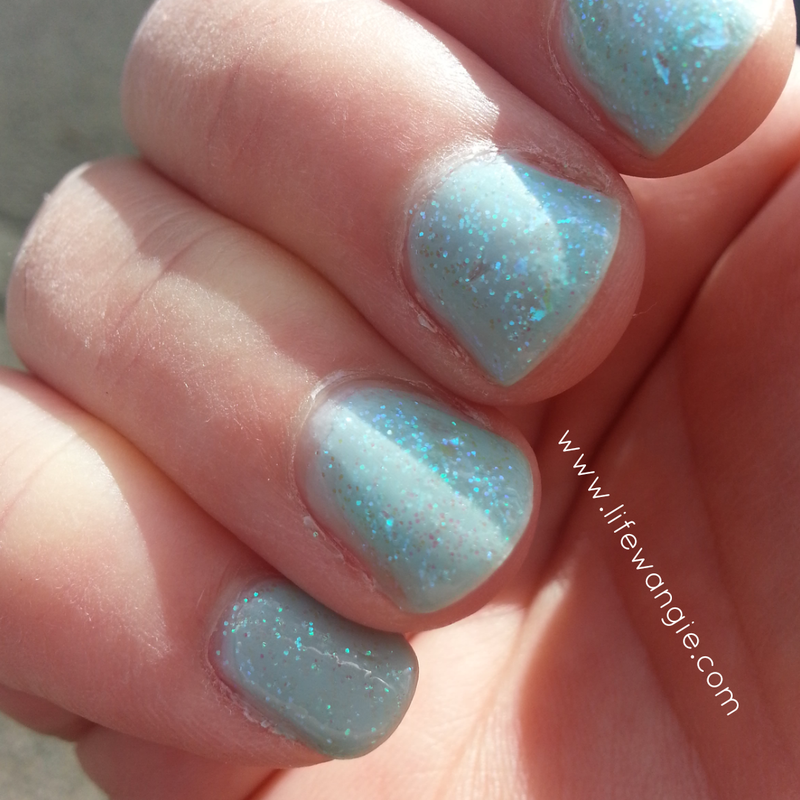 Ok, I warned you the other day after my Sally Hansen haul to look out for a bunch of Sally Hansen posts. So here we go. Is this about the most gorgeous bottle of nail polish you have ever seen, or what? It's a jelly with glitter and a few flakies. 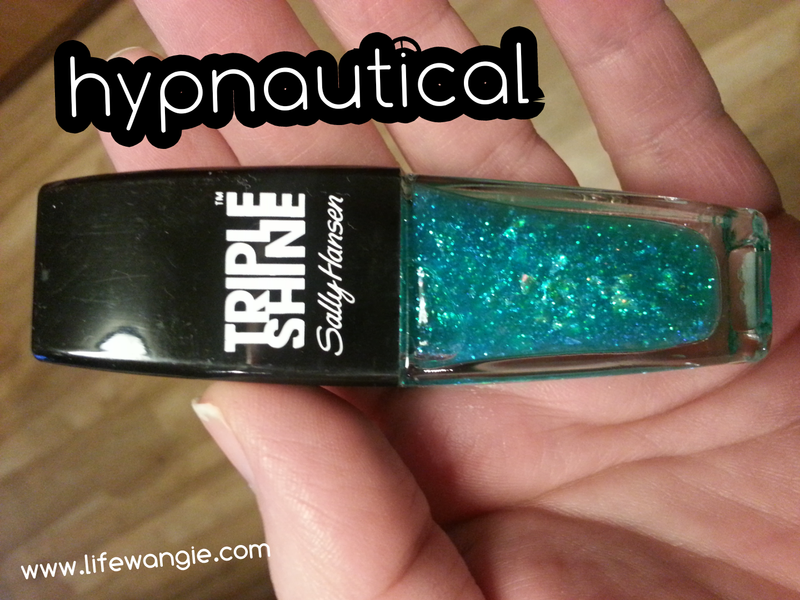 I actually had a chance to try out the Triple Shine line a while ago, so I knew I liked it. These polishes are some of the longest-wearing polishes I have tried, and they have so many bright colors and fun glitters. That big cap pops off so you can easily do your nails with the regular-sized cap underneath. I started with Sally Hansen Xtreme Breezy Blue. The formula of this one was just OK. I was hoping it was a creme, but it was a bit on the sheer side. I needed two coats to get it opaque. It has a tiny bit of a pearl finish, but not enough to be totally pearly. But oh well, I was just using it as undies anyway. And now for the big finish! I put on a couple of coats of Hypnautical. Ta-da! It's so pretty. At first it threw me off that it was not as pigmented as it looked in the bottle. I actually expected it to be more teal, but the jelly does have a tiny bit of a teal color. But after wearing it for a few hours, it really grew on me. The glitter and flakies caught the light really well. Also, this mani lasted like a champ - I had it on for three days with no chips, which is like a record for me, since my manis tend to chip easily. I almost think this could be a wedding mani. Overall, I am super pleased with the outcome!